It begins with an overview of key theorists including Clement Greenberg and Peter Bürger, before considering in more detail the different political contexts in which an artistic vanguard developed in Europe: the First World War, the Russian Revolution and the subsequent consolidation of the European dictatorships. 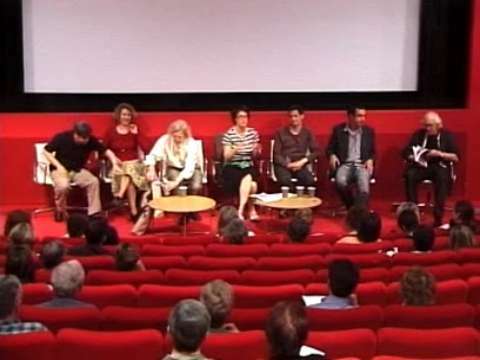 Speakers also discuss the notion of a post-war neo-avant-garde, and raise issues about the value of thinking in terms of avant-gardes when it comes to contemporary artistic practices. The study day will be most useful for those with some existing knowledge in histories and theories of modern art. Speaker: Gail Day, Senior Lecturer in art theory and history at Wimbledon School of Art and an editor of the Oxford Art Journal. This talk sets up the day’s discussions by considering the interrelated concepts of the ‘avant-garde’ and ‘neo-avant-garde’. While looking briefly at the origins of the concepts, and some of the confusions of terminology that are frequently encountered in the literature, the main focus of the talk will address the crucial role - ideological and aesthetic - that the idea of ‘avant-gardism’ has played within twentieth-century debates on art and culture, and which continues to be at issue among many contemporary artists. Benjamin Buchloh, extract from ‘The Primary Colors for the Second Time: A Paradigm Repetition of the Neo-Avant-Garde’ (1986), in Jason Gaiger and Paul Wood, eds, Art of the Twentieth Century: A Reader, Yale University Press, 2003, pp. 98-106. This talk looks at Russian art from just before World War 1 until the middle of the 1930s, considering the relation between Constructivist art and the politics of the period. In the wake of the 1917 revolution many avant-garde artists identified with the aims of the Bolshevik regime. Some artists took up teaching or administrative roles in the new state and many tried to find appropriate ways to respond to the transformation of social relations. The impact of the Russian revolution was felt way beyond the confines of the Soviet territories giving an impetus to the desire to find a new social role for art. At the same time, the desire to connect with the revolution introduced the contradiction of ‘publics’ into the avant-garde project. The talk examines the contradictions that shaped the activities of the Soviet avant-garde. This talk traces some of the issues which informed work in the different Dada centres, establishing their origins and concerns, and considering how the relationships between the different moments can be characterized. Martin Gaughan explores the sense in which Dada, as developed in the centres of Zürich, Cologne and New York, can be seen as a precursor to Surrealism, as elaborated in Paris under the direction of Andre Breton. However Berlin Dada had a different, more politically engaged, set of interests. This discussion forms part of the study day that explores concepts of avant-gardism, and the ways in which these have been deployed to historicise and interpret twentieth century art. The political conditions of the 1930s followed by the Second World War either destroyed or significantly undermined the historical avant-gardes. Yet by the mid-1950s apparently comparable tendencies were re-emerging on an international scale. The relationship of this so-called ‘neo’-avant-garde to radical politics has been the subject of considerable art-historical debate. So too has its relationship to the Conceptual Art of the late 1960s. Paul Wood discusses some of this work and the art historical debates surrounding it. .Avant-garde art is often seen as being at odds with the general public, and deliberately so. Avant-garde artists are seen as making images and objects that are wilfully esoteric, even elitist, and contemptuous of common concerns. But the history is more complicated. In this talk Dominic Willsdon argues that the avant-garde can be understood as a response to the specifically modern problem of trying to communicate with a general public, rather than the particular publics of earlier times. He considers how many avant-garde artists and artists’ groups in the last 100 years can be seen as experimenting not just with new kinds of art but with new ideas about what it means to be a public. There seems to be a great distance between the contemporary art scene and the avant-garde as traditionally conceived. Avant-garde art was thought of as difficult, having a limited market and only achieving success (if at all) after a long period of time. Much contemporary art is easy on the eye and mind, highly marketable and quickly successful. Yet in the popular imagination, it is still thought of as avant-garde. Julian Stallabrass’s talk analyses the causes for that persistent misperception, looking at a range of prominent art globally.